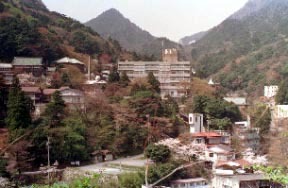 Yunoyama Hot Spring and a Mt.Kamagatake. 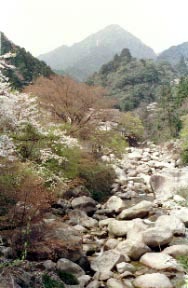 A Mt.Gozaisho and a Mitaki river. 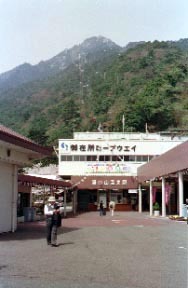 A Gozaisho aerial ropeway and the highest steel tower in the world are exceeded, and a steep rocky mountain and Isewan are viewed. 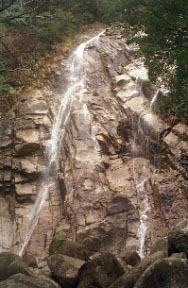 On foot-from parking lot one of the Mitaki "Ao-taki", and in the inner part of mountain stream fishing pond about 10 minutes. 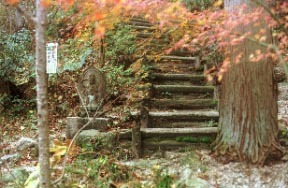 The Mitake temple of red leaves.